Recently I made a whirlwind visit of my old home town, Ferndale, Michigan. It was a fantastic journey and it feels as though I did more in just over a week than I have done, ever in a single month! This was my first visit back since 1981 — almost 35 years exactly. This is my first in the series of articles. My first article devoted to an ice cream place? I know, it seems odd, but when I left Michigan I was only 13 and only made two trips after before this most recent one. Once at 15 and the other at 19. At 13, ice cream was pretty important to me. Even today, I’m a big fan. Jim’s Frostie Treats, looks, on the surface, like a simple ice cream stand. In Royal Oak, and just over mile from my childhood home, I gladly walked there often as a kid. It has been there since the 1950s and was purchased by Jim Hammond (as a Dairy Queen) in 1969 and became Jim’s in 1972. I knew it as both. What is amazing is how the location has not changed much at all. At least on the surface. It looked almost exactly how I remembered. However, its offerings are far more than they had when I was a kid, including healthy fare. But, I must confess, I didn’t try any of that. Remember, my memories of this place goes back to childhood. I wanted a banana split, a Boston cooler, and a “Jack and Jill,” with the last being my undisputed favorite. During my ambitious week in Michigan after 35 years, there was only one place I frequented more than once on my “to do” list, and that was Jim’s. I went four times in that short stay. My first full day back to Michigan got me to Jim’s and I finally met the current owner, Kathryn Denier, in person. She took over the place in 2000 from her father. She and I had become Facebook friends and had chatted often in recent years online. 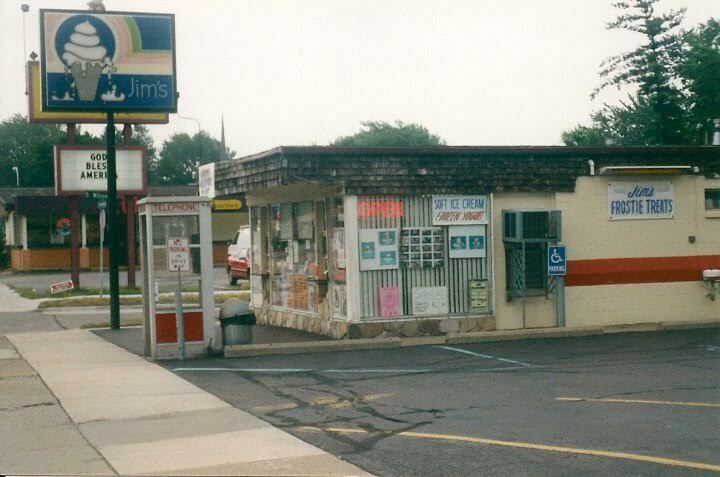 I had to ask for my favorite treat as a kid, the aforementioned “Jack and Jill.” Jim’s has a group of teenagers running the small place and when I asked for it, heads were spinning. There were a few glimpses of familiarity on their faces, someone had mentioned this treat — vanilla ice cream topped with hot fudge and marshmallow — but they had no idea about these ingredients. Fortunately, Kathryn was there and mumbles of “Jack and Jill” came back to her and she giggled and came to the window and greeted me. We have had many discussions about “Jack and Jill” since we first visited online. She generously gave me my treat for free, which did not affect my bias at all. I would have been sold on the treat if I had to pay multiples of the menu price. “Jack and Jill” was the name of the hot fudge, marshmallow, and ice cream treat when this shop was a Dairy Queen franchise. That is what I originally knew it as. 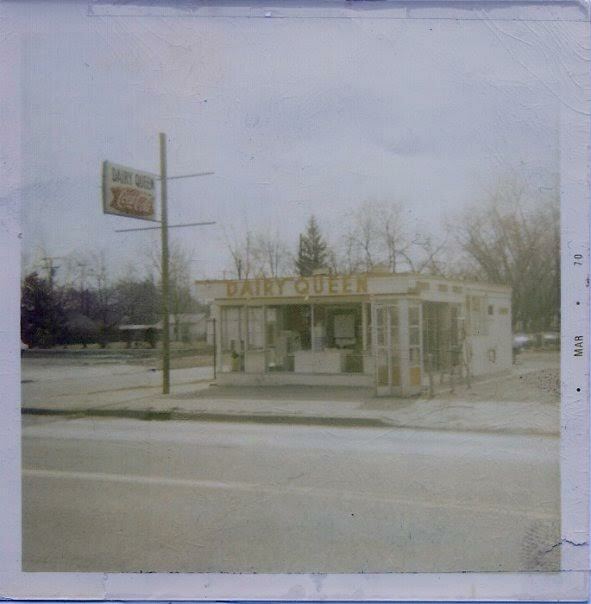 Thanks to territorial battles that come with name and other changes, Jim’s had to drop the “Jack and Jill” name when it ended its relationship with Dairy Queen. I am personally lobbying to restore the name at Jim’s, since Dairy Queen is no longer using it. If you visit Jim’s, do me a favor and ask for it. Inspiration at Jim’s during Michigan’s brutal winters. I also enjoyed a banana split, and two Boston Coolers (AKA Vernor’s float), a different treat in each of my four visits (I did show a little restraint). 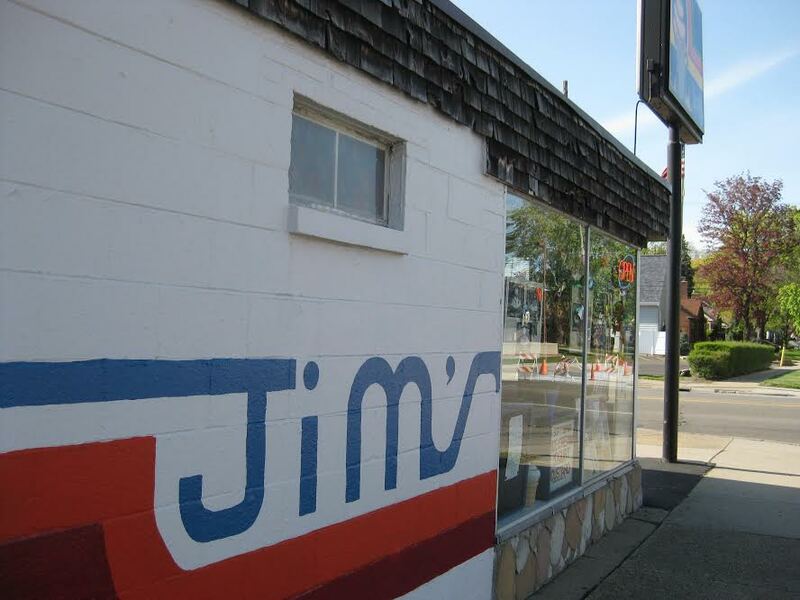 Jim’s is recognized as one of the best shops of its kind in the Detroit area. It is well deserved. The ice cream is outstanding, the variety of treats and toppings are amazing, but most importantly it is authentic. While modern ice cream shops try to have an old time appeal, reminding people of the “good old days,” Jim’s is for real. It is almost exactly like it was when I was a child and that is a good thing. Sure, Superman did not hang out in the phone booth back when I was a kid and it did not project movies on the wall next door “back in the day,” but other than that (and the much expanded menu), it is retro before retro was cool. It is still a place with an empty lot next door with a few inviting picnic tables and is a great place to pull up a seat and enjoy a treat. I was concerned that my affection for Jim’s was mere romanticism. The thoughts of a middle aged man pondering a childhood love of the past. Well, to maintain my objectivity I have since visited other ice cream places and Jim’s remains one of a kind, one of the best, and certainly my personal favorite. Remember, go by and ask for the “Jack and Jill” and see what happens. You could bring back a great ice cream tradition, to a fantastic ice cream shop.